1. 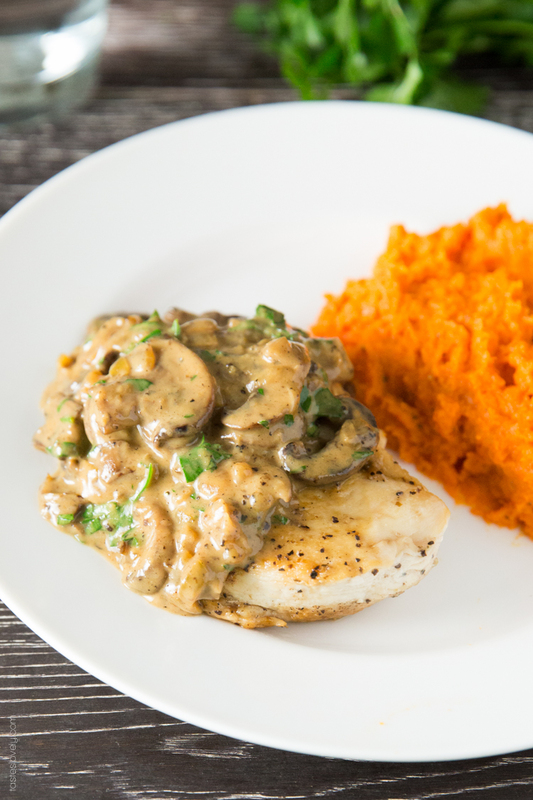 Chicken Fricassee. In the middle of a bite the first time I made this, Joe asked me to make it again. I’ve probably made it 4 or 5 times now and we can’t get enough. I’ve taken to calling it “Freaky Chicken” due to the funny name and Nora going wild after having a bite of the chicken. 2. 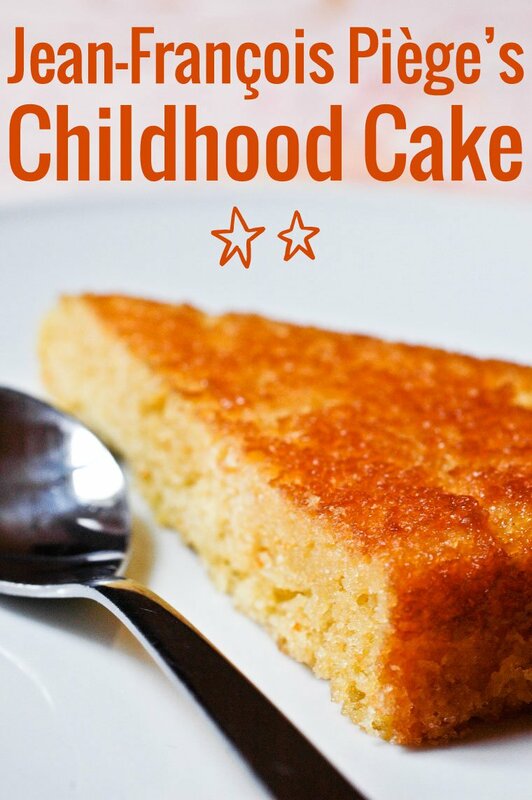 Jean-François Piège’s Childhood Cake. The first time I made this I ended up throwing the batter away because it separated after adding the orange zest and juice. I asked Clotilde from Chocolate and Zucchini, who posted the recipe, and she said to keep on going and it should turn out fine. It did and it was so, so tasty. I can’t wait to make it again. 3. 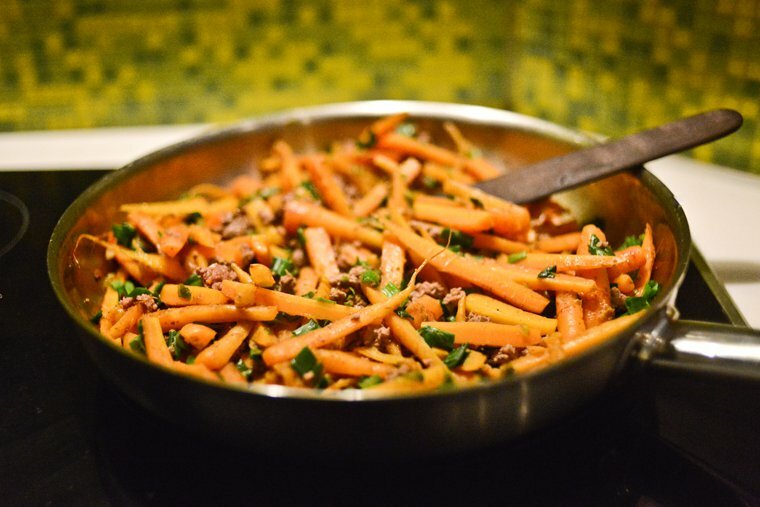 Spiced Carrot and Ground Beef Stir-fry. Another Chocolate and Zucchini recipe! This is so fresh and healthy; the spices are perfect and I love the pairing of carrots and beef. Perfect for making at the beginning of the week for work lunches. 4. 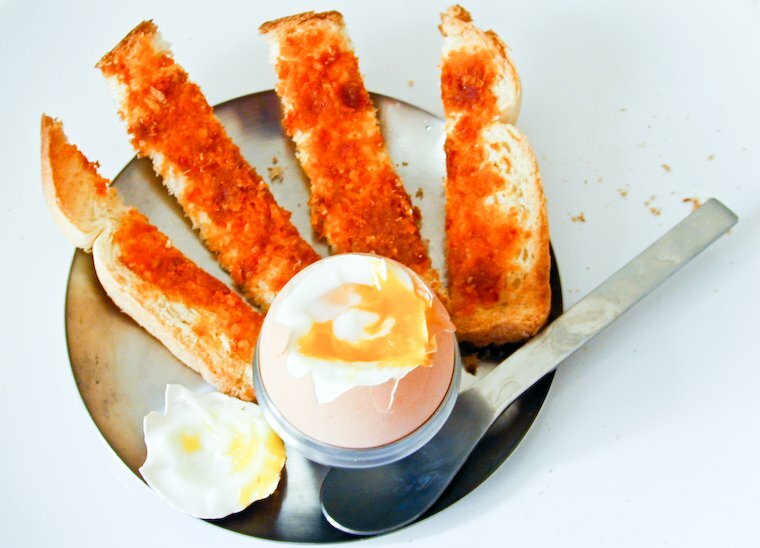 Soft-boiled Egg with Bread Fingers. This was my first time having a soft-boiled egg. I went to my favorite grocery store, bought a cute little le cruset egg cup, and boiled up an egg. I love Clotilde’s (OH LOOK A THIRD FROM C&Z) directions include, “Enjoy the unique sensation of that spoon scraping against the shell.” I’m still playing with times to find the perfect balance of whites cooked with the yolk still runny. I also need to pick up some little spoons that will comfortably sit inside the egg. I’ve made this recipe at least 10 times. 5. The Ultimate Guide to Stir-frying. Guys. This is amazing and the most helpful infographic EVER. We like the basic sauce the best. I think I’ve made this one three or four times and have loved it each time. Bonus! 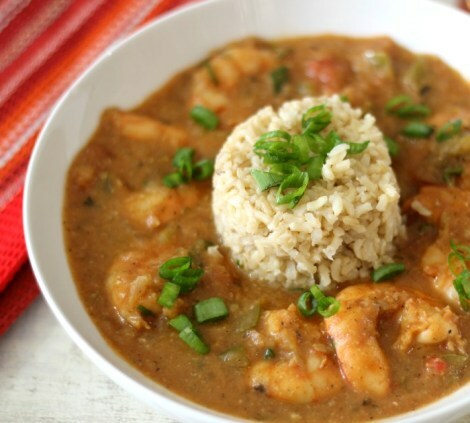 Shrimp Étouffée. I love expanding my knowledge of southern dishes! I picked this one out because for my book club this month we’re reading Interview with the Vampire (I’m excited to read my first Anne Rice book!) and we always cook festive dishes for the meeting. I made this on Monday and it was really good. I ended up using only one pound of shrimp (the recipe calls for 2 lbs) because it was $20/lb; it ended up working just fine. This was a bit spicy for me but not too much, I was still able to eat what I needed to to feel satisfied. I can see making this recipe again. Have you found any good new recipes lately?